If you go to see Wicked in Calgary this summer (or in other Canadian cities from Ottawa to Winnipeg and Vancouver), you’ll receive a playbill, a small, informative publication that tells you about the show. Maybe you’ll keep it as a memento of your theatre experience — many people do. Who makes these playbills, and how? Short answer: RedPoint and Broadway Across Canada make them. Long answer…read on. 1. RedPoint and Broadway Across Canada have worked together on the playbills for more than five years, and are currently working on the 2014 – 2015 season. 2. While most of RedPoint’s client projects start with our team of writers and designers, the playbills go straight to our ad sales, production and traffic teams. Broadway Across Canada depends on RedPoint to provide a quick turnaround time and to take the complex details of national ad sales and ad trafficking off its hands. 3. Broadway Across Canada provides all content for the playbills in the form of camera-ready files. RedPoint sells and places ads, prepares and delivers files for printing and ensures the finished playbills arrive at their venues. 4. Up to 16 playbills are produced each year, running 12 to 28 pages. 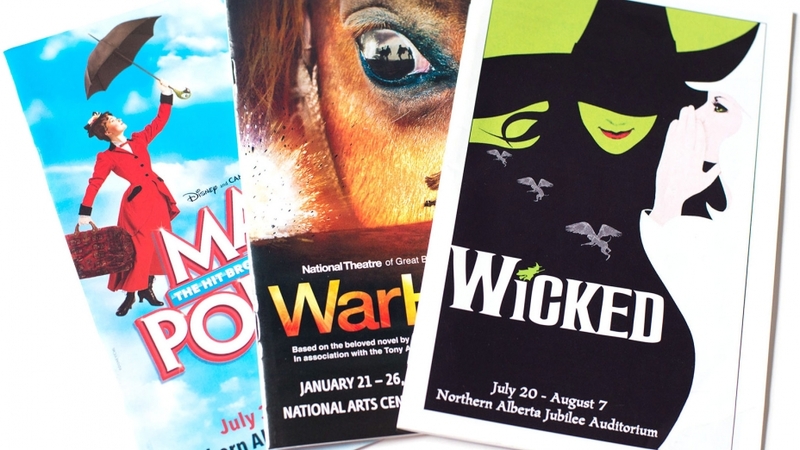 Venues require anywhere from 6,500 playbills in Winnipeg to 60,000 in Vancouver. It all depends on the show and how long it will run. Find out what’s on stage this year at Broadway Across Canada (of course, now you’ll be buying a ticket just to get the playbill).